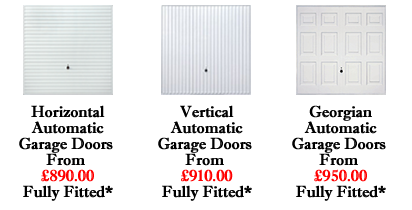 At Present, Garage Door Oxfordshire have 3 GREAT SPECIAL OFFERS. The 3 styles of Garage Doors are shown above and the fully installed prices for the stated size are opposite. Garage Door Oxfordshire can provide quotes on the same offer for other sizes upto 8ft wide x 7ft high, Please call for details. The Garage Doors on offer are manufactured by HORMANN and all come as standard with a ten year manufacturers warranty on the Garage Door and five year manufacturers warranty on the Automatic Opener. Quisque dictum. Integer nisl risus, sagittis convallis, rutrum id, elementum congue, nibh. Suspendisse dictum porta lectus. Donec placerat odio vel elit. Nullam ante orci, pellentesque eget, tempus quis, ultrices in, est. Curabitur sit amet nulla. Nam in massa. Pellentesque viverra vulputate enim. Aliquam erat volutpat. Donec placerat odio vel elit. Pellentesque viverra vulputate enim. Pellentesque viverra vulputate enim. Aliquam erat volutpat. Pellentesque tristique ante ut risus. Quisque dictum. Integer nisl risus, sagittis convallis, rutrum id, elementum congue, nibh. Suspendisse dictum porta lectus. Donec placerat odio vel elit. Nullam ante orci, pellentesque eget, tempus quis, ultrices in, est. Suspendisse dictum porta lectus. Pellentesque viverra vulputate enim. 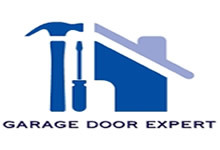 We can Repair all types of Garage Doors in Oxfordshire regardless of the age, style or make or Garage Door. Having a large stock of the most common parts, we can usually Repair your Garage Door Oxfordshire the same day you call. 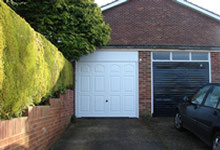 Have a look at some of the garage doors we have installed. Copyright (c) 2013 www.garagedooroxfordshire.co.uk. All rights reserved.